This 5 month-old baby had an asymmetrical head. The question was whether or not he needed surgery, a molding helmet, or just observation. 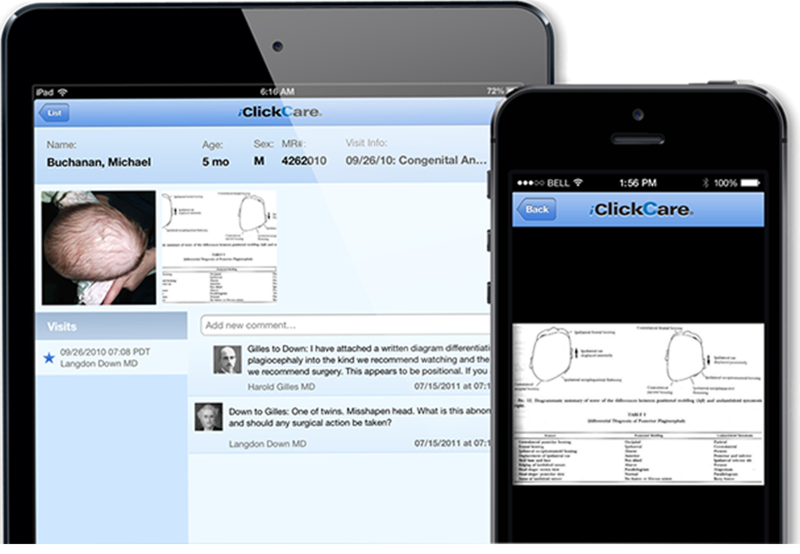 Using iClickCare, the healthcare providers in training "discussed" the case securely, showing pictures and diagrams so that sense could be made out of this for the baby’s family, while conscientious follow-up was planned.